While perusing the Spring ’15 couture collections on Pinterest this week, I came across some close-ups from Valentino’s runway show. While the gorgeous gowns and impeccable attention to detail are obviously awe-inspiring, it’s the beauty looks that really gave me heart palpitations. 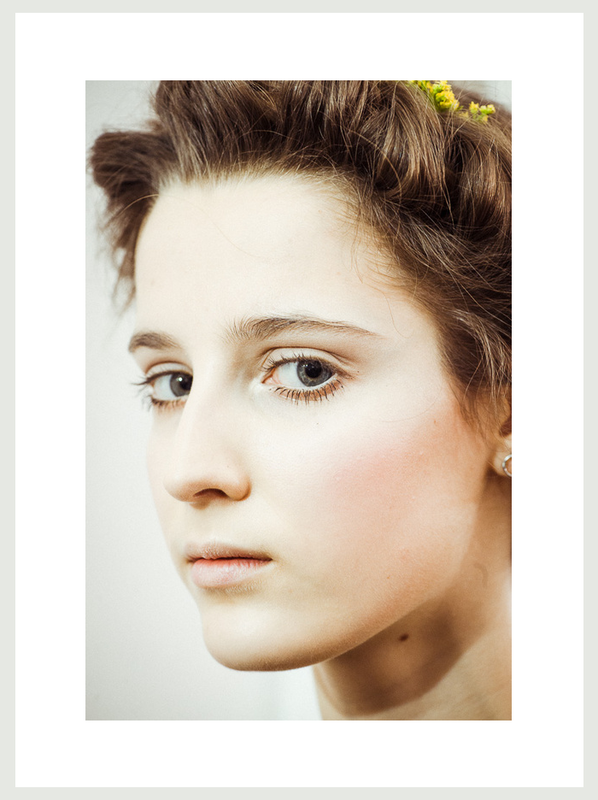 Delicate, feminine and youthful hair and makeup were the cornerstones of this season’s looks. First let’s look at the face: I yearn for this soft, matte porcelain skin (I use this powder) with just a touch of pale pink blush. The most inspiring of all though, was the focus on the lower lashes. The upper lash and lid is kept natural, while the emphasis goes to the lower with a swipe of white eyeliner and mascara applied from root to tip on the bottom. It’s quite angelic, no? The updo is simple, but incredibly romantic. 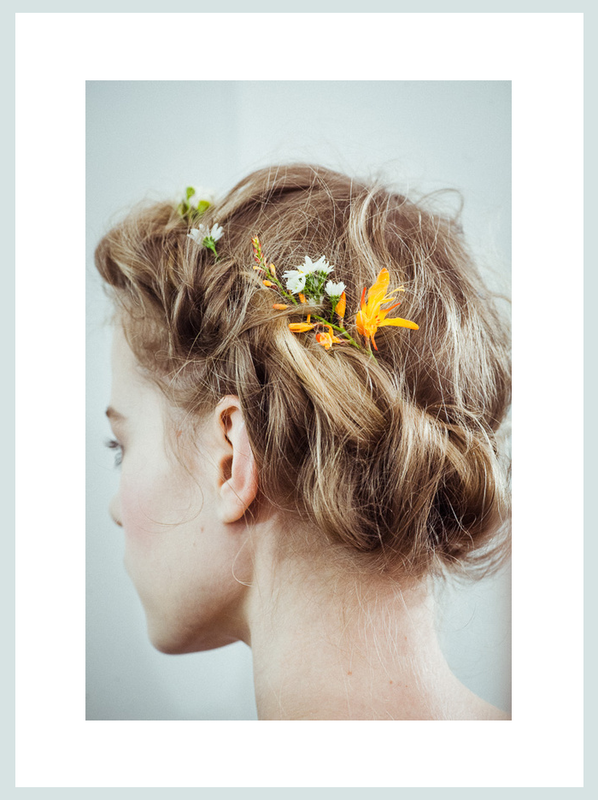 I’m not a huge fan of flower crowns (it’s a little played out), but I am obsessed with the subtle floral accents in this idyllic ‘do. It looks like the hair was slightly curled (try this iron) and tousled before being very loosely braided, then pinned up. 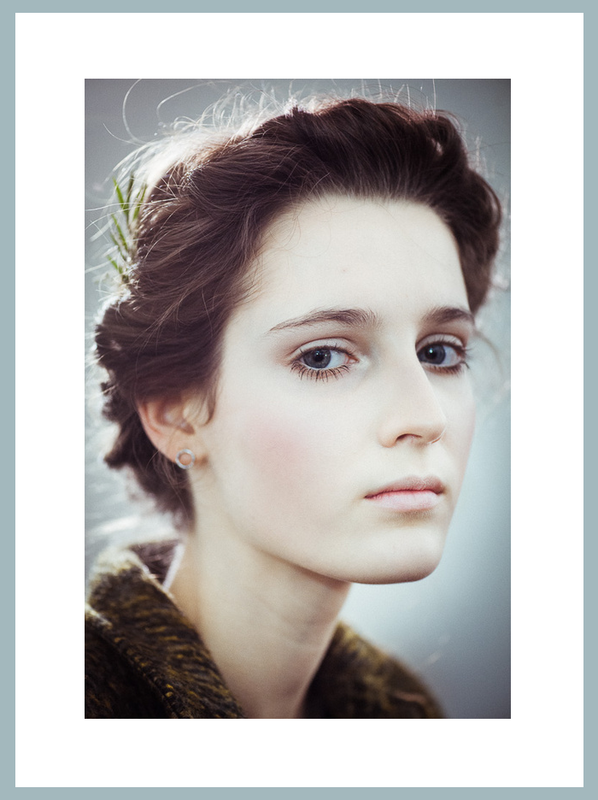 This whole beauty look would be so marvelous for a wedding, don’t you think? So stunning. Shop some of my favorite beauty products below to try the look out for yourself! Those subtle little flowers look amazing! Seeing these photos makes me wish that I could braid my hair like that, haha unfortunately I have no talent at all for that.